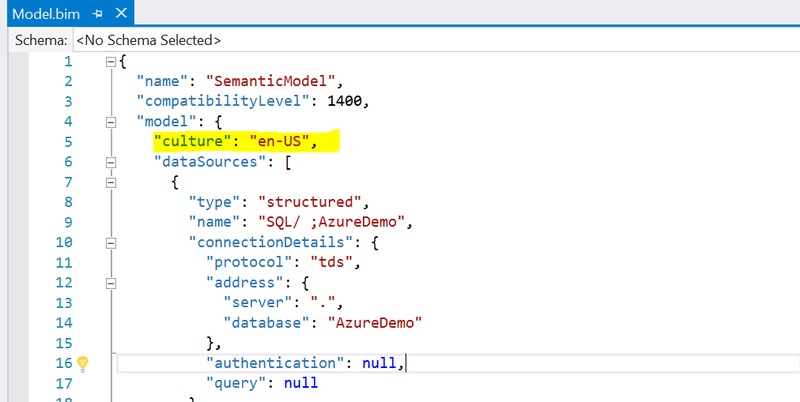 I have heard this question come up now and then where someone wants to separate the names and columns seen by users from the names and users used in SSAS and in the reports. The main benefit this has is that name changes will not result in broken reports. Now we need to add a translation for the same language. Unfortunately the tool doesn’t allow you to add the same language as the model (oops I was the PM who added this feature..) but it is easy to change later. Close the bim file and double click the model again to open it in the visual editor and select manage translations under Model in the top toolbar. Now add any language, select the language and press export. And change the name to the same string as the culture of your model and add the translations. 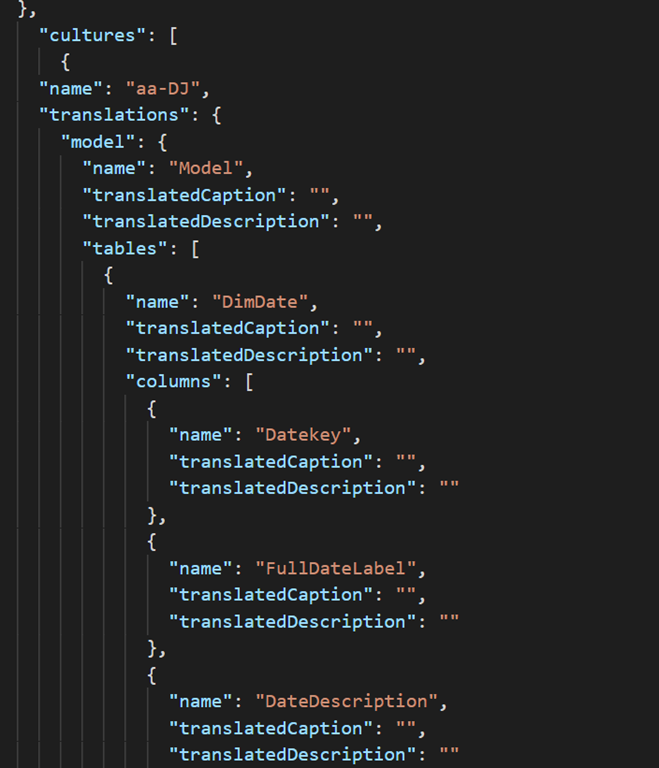 Save the file and load it back in, go to Model, Translations, Load translation and select the JSON file again. This is such an amazing feature as it will give so much flexibility. Too bad I didn’t see this article earlier. However, I have a question. The exported file need to be part of the same solution and needs to be included when promoting to other environments ? I guess I am looking for advice on best practices on where to store this translation json file. 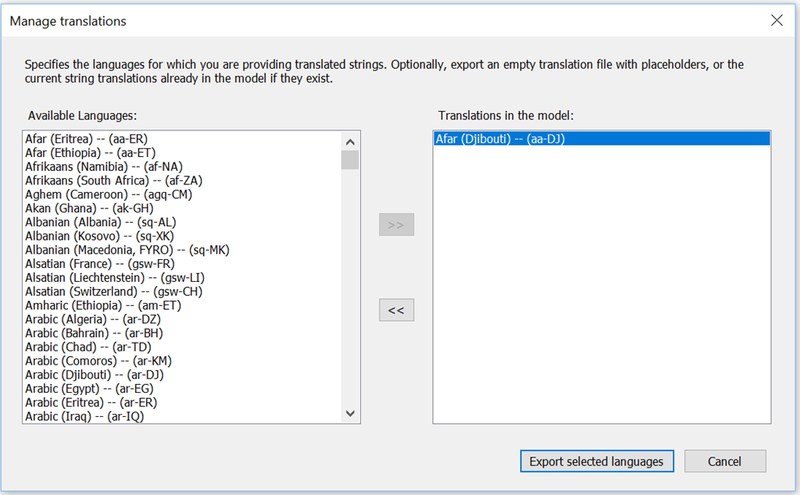 You don’t have to store this translation file, the translations themselves will become part of the model after you commit them (you can see them in the bim file). The json file is just a convenience feature to make editing easier. Does this trick also work for Excel? This does not create a default translation doesn’t it ? 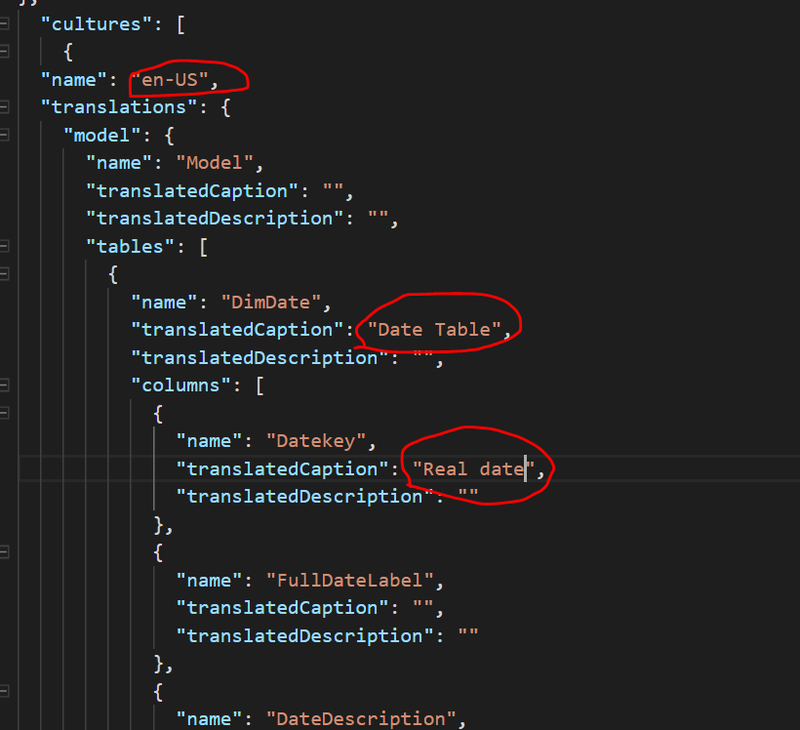 If a user ha a different (from the cube one) locale identifier, without any translation defined for, I think he obtains the technical labels and not the default translation labels. Can you confirm ? Is there any solution for that ? this is interesting, but what I really need is to be able to have member caption translations. 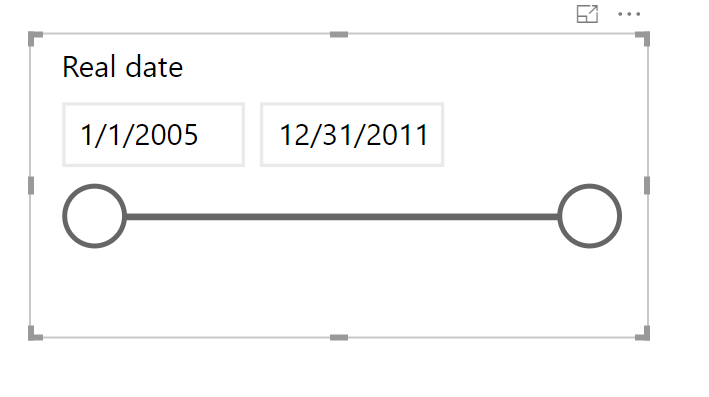 One of the main reasons why we cannot use Tabular models in our line of work is that the UID of the member is completely tied to the description. This means that if the descriptions change, our queries / reports will break. 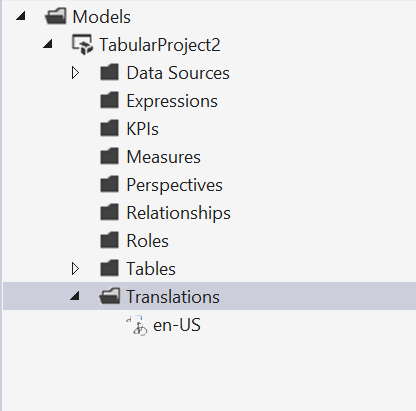 I was hoping that translation columns would allow me to have one column in the model language, and then display a different column in the users’ language to get around this issue. 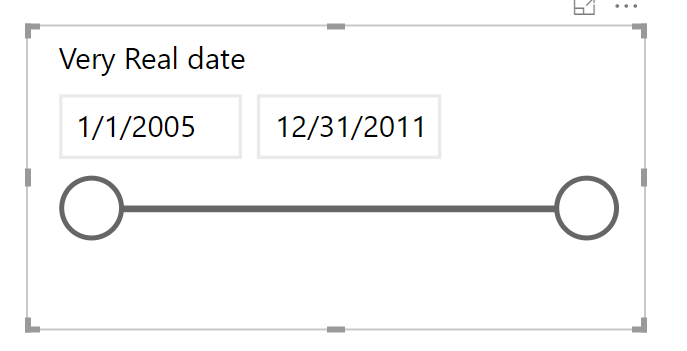 Do you know if this feature (or the ability to set a key/description pair) is on the roadmap?